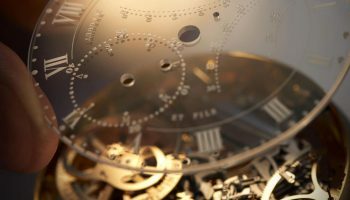 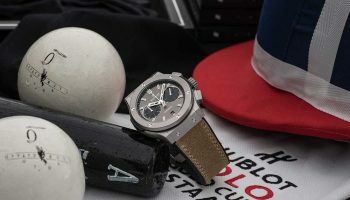 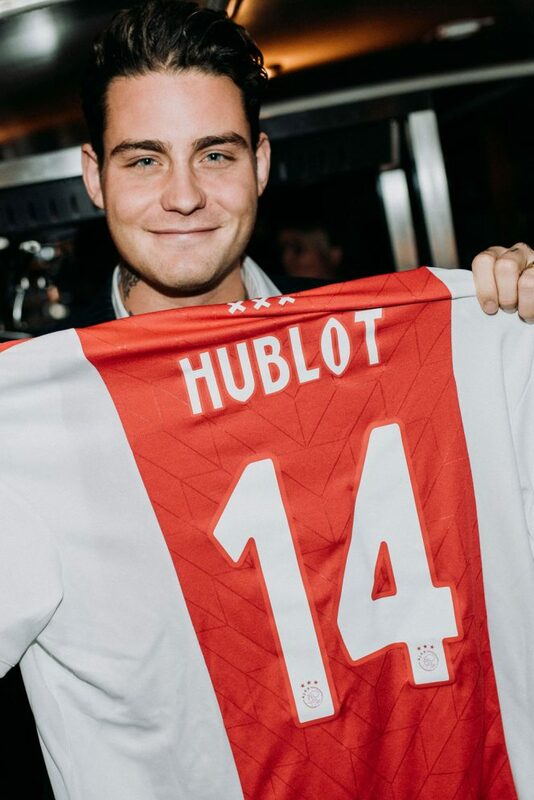 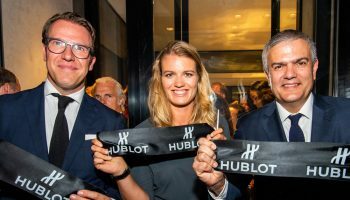 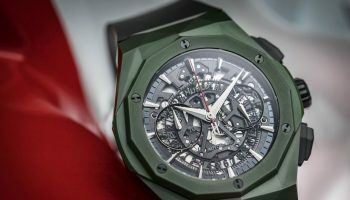 Hublot decided to celebrate the opening of their new boutique in Amsterdam with a very special limited edition, dedicated to the Dutch capital. 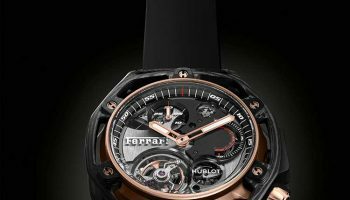 The Classic Fusion Aerofusion Chronograph Special Amsterdam Boutique Edition features a 45mm large case, which is crafted from bronze with a black brushed finish. 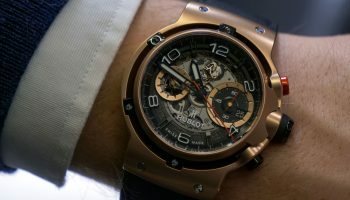 The open worked dial not only shows part of the movement but also features the coat of arms of Amsterdam at twelve o’clock. 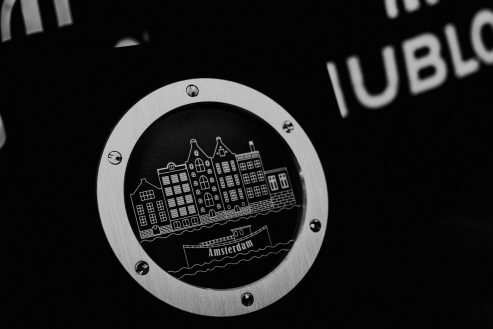 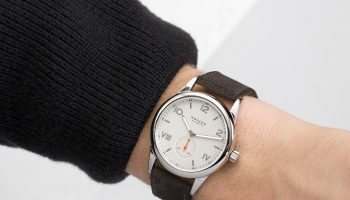 Another reference to the city is the map of the canals, which is displayed on the back of the watch. 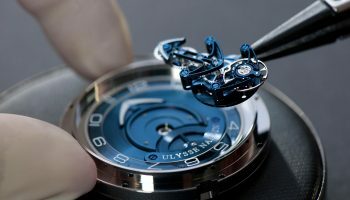 The movement inside is automatic caliber HUB1115, which boast next to the chronograph and date complication, a power reserve of 42 hours. 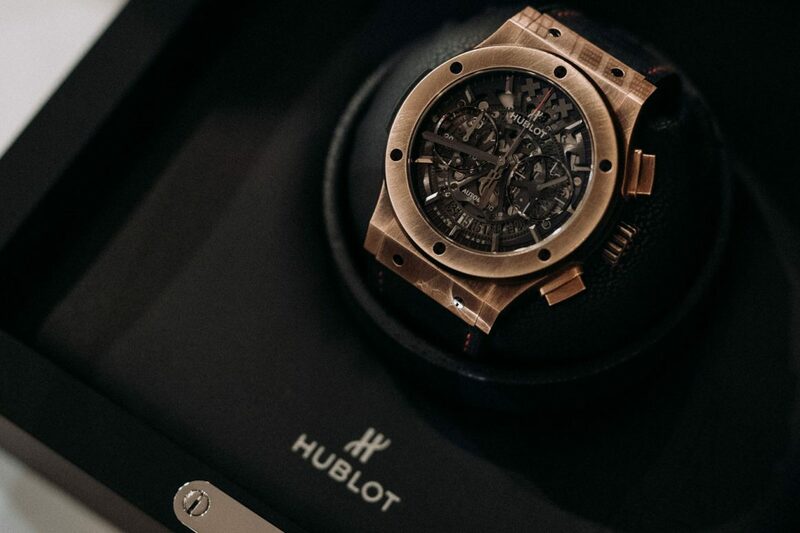 To stay true to the ‘Art of Fusion’ this Hublot also features a unique combination of materials. 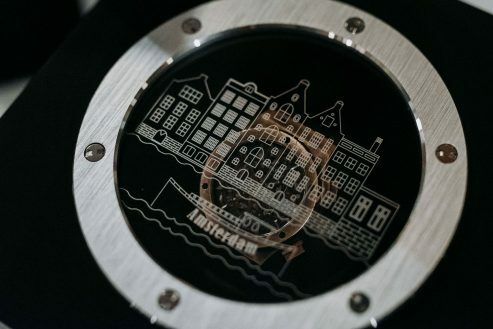 The bronze of the case and the bezel is combined with a case back of micro-blasted black ceramic, while the strap is made from black rubber with red stitching, another reference to Amsterdam. 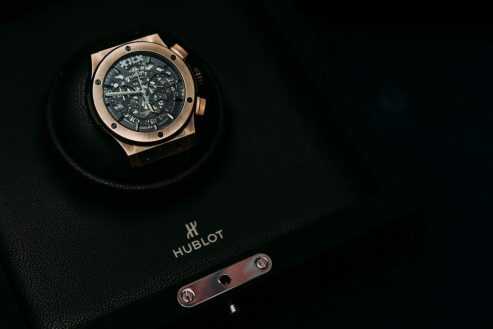 A deployment clasp safely secures the watch on the wrist and is made of stainless steel with a black PVD coating, with a brushed bronze insert. 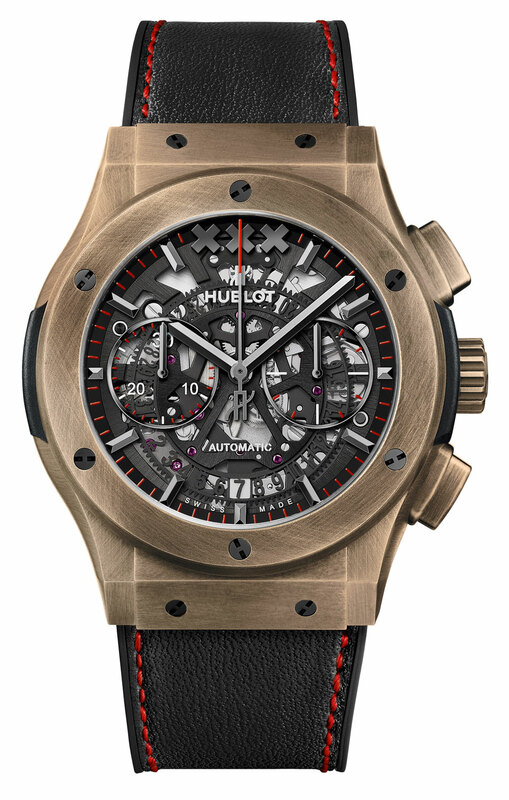 The Classic Fusion Aerofusion Chronograph Special Amsterdam Boutique Edition is limited to 20 pieces and only available at Hublot’s boutique in Amsterdam.